Our watershed assessment and enhancement planning approach consisted of assembling a multidisciplinary team representing fisheries biology, hydrology, geomorphology, water quality, and riparian ecology. 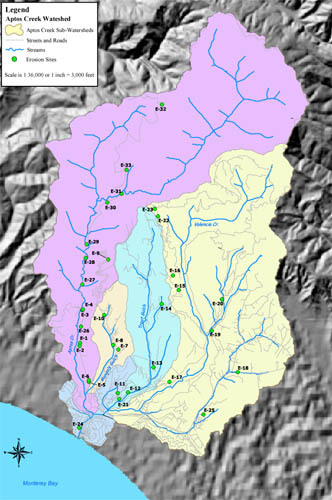 The team members analyzed existing data, conducted reconnaissance-level field evaluations, and collected focused field data to assess impacts, identify limiting factors to steelhead and coho survival, and identify specific projects or programs that could be implemented to restore habitat conditions for steelhead and coho salmon. 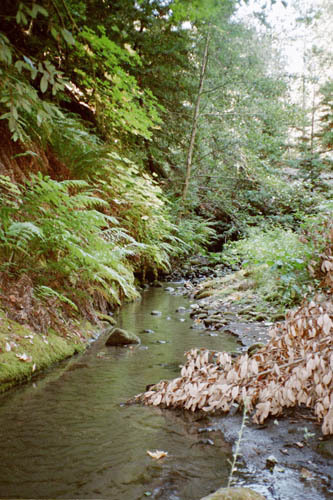 Individual disciplines produced technical memoranda of their findings that were then used to produce an Action Plan to guide restoration within the watershed for the next 15 years. The Action Plan was developed through a cooperative effort between the consulting team members, the Coastal Watershed Council, the funding agencies, a Technical Advisory Committee and a Public Advisory Group. Meetings were held regularly over the course of the project between the project team, the public, and agency staff that would be responsible for implementing the recommended projects and programs to gage the level of interest and future funding opportunities. Several recommended projects are already in the process of being designed, funded, and implemented.